The Fightin’ Texas Aggie Band is nationally known for its precision military marching formations on the football gridiron and is the largest military marching band in the nation. 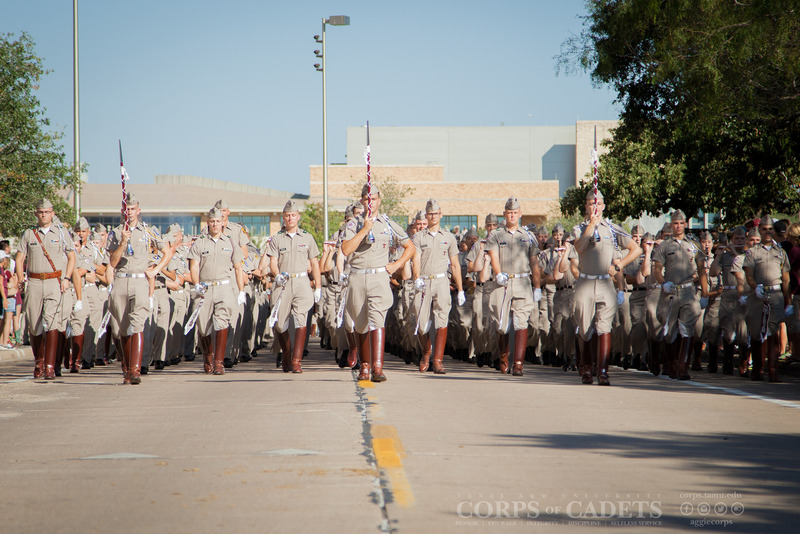 This 400+ member, Corps of Cadets unit is the official marching band of Texas A&M University. Performing at all home football games and several away games, this organization is one of the most traveled collegiate marching bands in the nation. 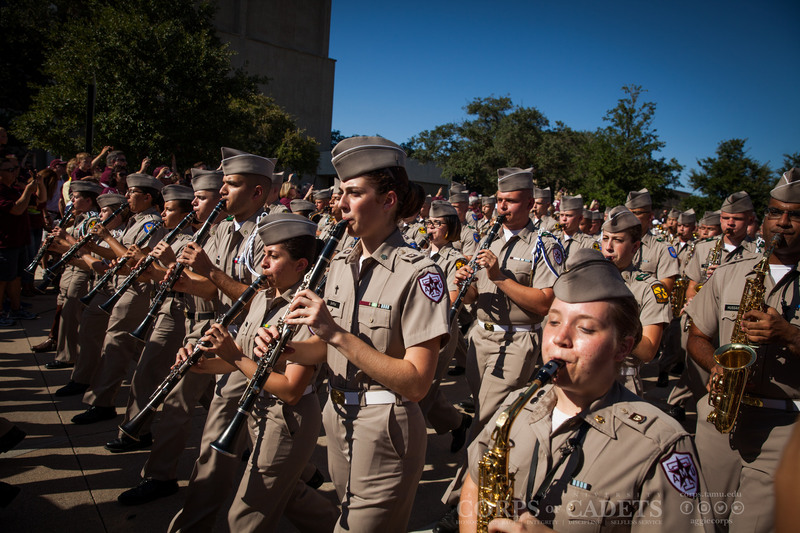 The Aggie Band operates under strict military guidelines as an integral part of the Corps of Cadets. The Aggie Band was presented the Sudler Trophy from the John Philip Sousa Foundation in 2001 in recognition of the long tradition of excellence established by the organization. The Aggie Band is directed by Dr. Timothy Rhea, LTC. Jay Brewer, and LT. Russell Tipton. All prospective members of the Aggie Band are required to have had both high school playing and marching band experience. In addition, a playing audition for one of the band directors must be passed prior to acceptance. Prospective cadets will be asked to play a prepared piece of music and demonstrate their sight-reading skills. Students should come prepared on the audition music. For a PDF copy of the audition music, click here. Sight-reading skills will be assessed by hearing students sight-read a march. Auditions will take place throughout the spring semester and must be completed no later than Saturday, May 12, 2018. Audition on one of three audition dates – February 10, 2018; April 7, 2018; and May 12, 2018. To choose an audition option and schedule a date, fill out this audition form. 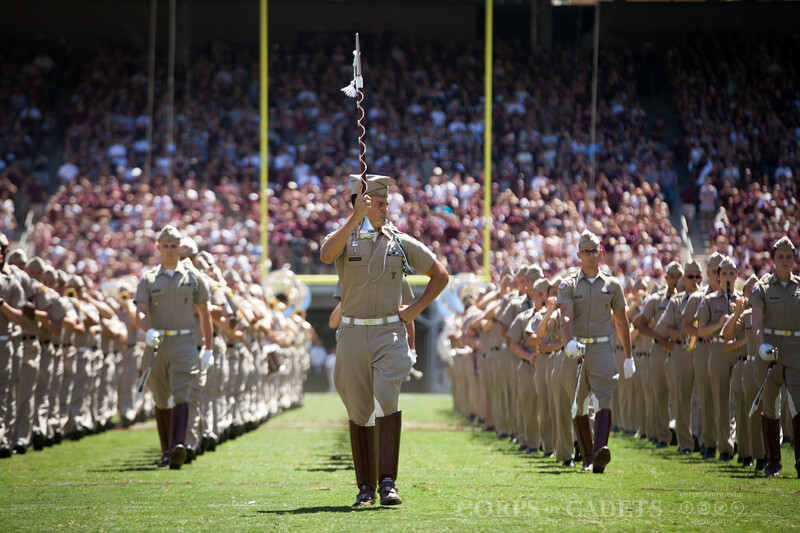 You may also contact Ms. Susan Haven at band@tamu.edu or 979-845-3529. Acceptance into the Aggie Band will be based on audition results and availability of positions in each section. Notification of acceptance will take place after the May 13th deadline. The Texas Aggie Band rehearses Monday through Friday, 7:00 – 8:30 AM. Indoor rehearsals are held in the E.V. Adams Band Building and drill rehearsals take place on the Haney Drill Field located adjacent to the band hall. 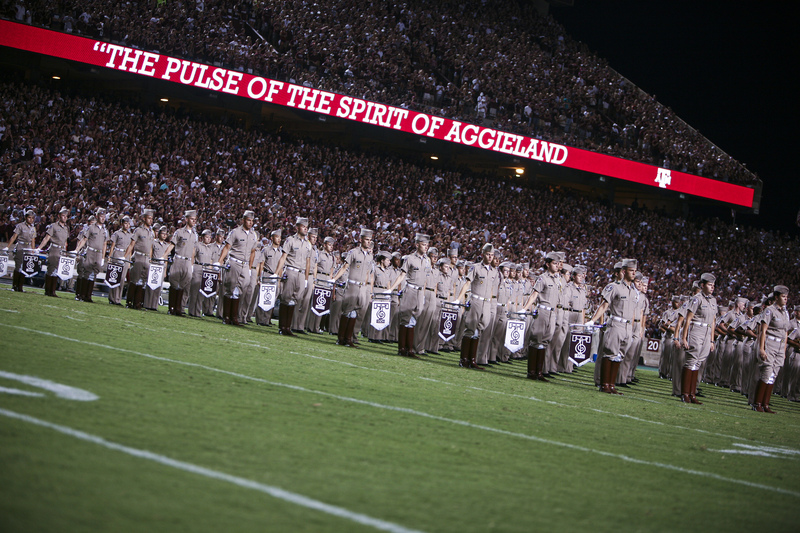 Aggie Band members receive one academic credit in Kinesiology for each semester of participation in the band. A limited number of university instruments are available for student use, however, students are encouraged to bring their own instruments. 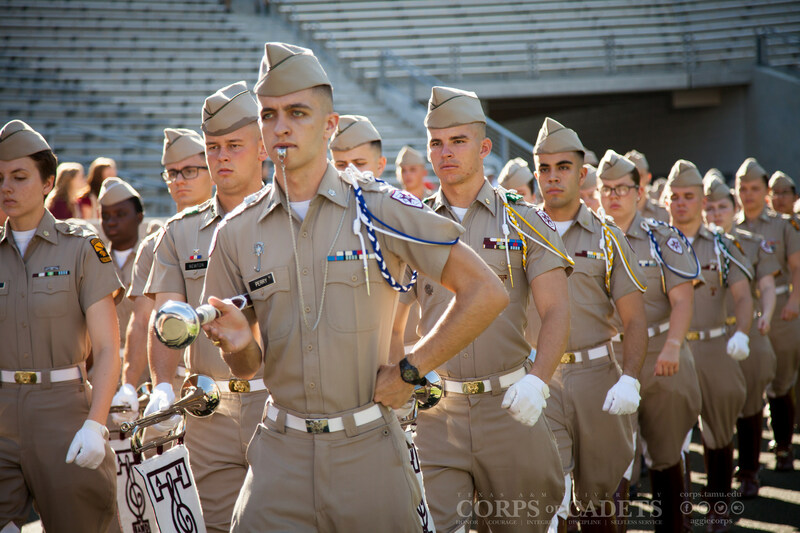 In the spring semester, members of the band remain full members of the Corps of Cadets and the Aggie Band represents the university at various parades and campus military reviews. In addition to these activities, members of the Aggie Band may choose to participate in the Aggieland Dance Orchestra, the University Wind Symphony, Symphonic Winds, Symphonic Band, Concert Band or the University Jazz Ensemble during the fall or spring semesters.